Having played tennis at both junior and senior levels for Ireland, Tennis4kids CEO and founder Annette Smith knows exactly what playing tennis means. It’s not about the winning, but the confidence that a young person gets when playing tennis and the love of sport. Tennis is truly a sport for life. Once you know how to play, you can have fun playing anyone, anytime, anywhere. So she set about bringing tennis to as many children as possible. It was often said that learning tennis was difficult so she set about changing that. She created a programme that was based on play while at the same time teaching skills to little people. Mini tennis is perfect for children. 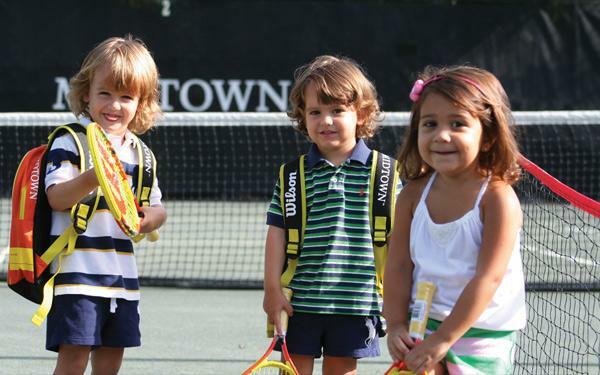 Smaller courts, softer balls and perfect-sized rackets for smaller hands mean children can develop at their own pace, having fun in an enjoyable environment. Annette and her professional, committed coaching team is enabling children to experience camaraderie, cooperation and confidence by playing tennis. It’s an individual sport where children can truly develop themselves, their skills and their love of sport. Yet at the same time, it’s all inclusive – it’s perfect for high-achievers as well as children who shy away from sport or group activities. To try mini tennis, why not book a no-obligation, free trial by calling 01 833 4335 to experience the fun.